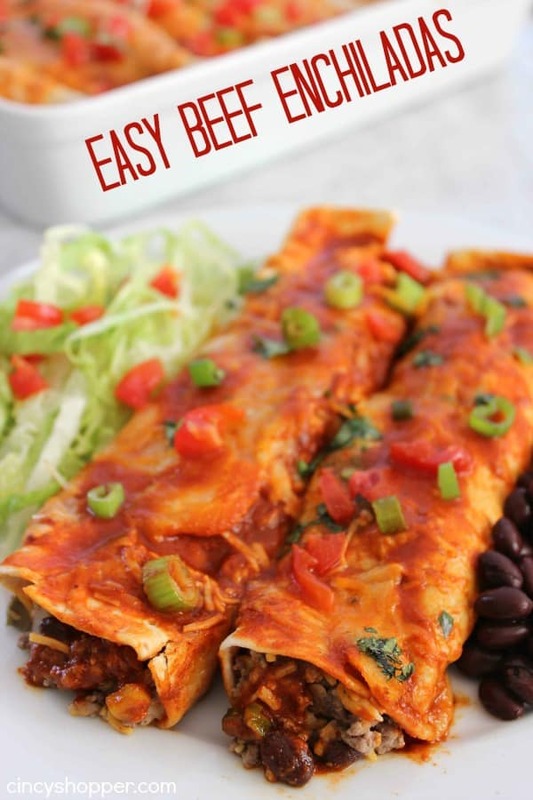 If you are needing a quick dinner these Easy Beef Enchiladas are perfect. 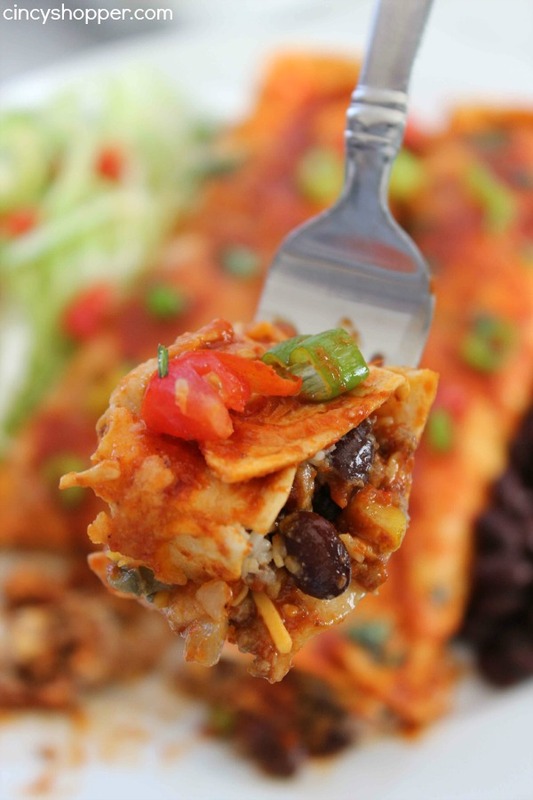 Enjoy a Mexican Dinner at home in no time at all. 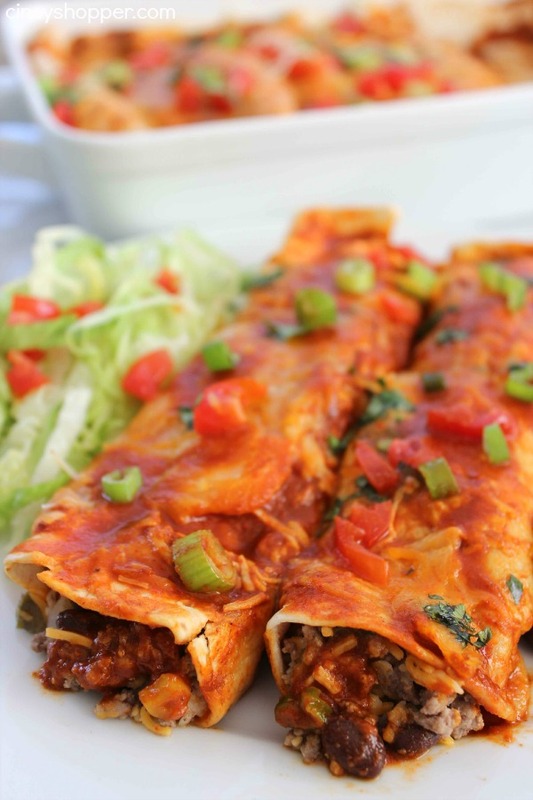 Beef Enchiladas full of great flavor and smothered with cheese. My family loves Mexican food. 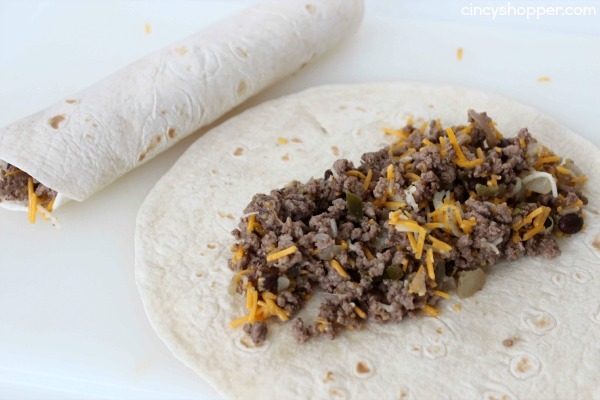 We have taco night weekly (sometimes even a couple of times per week). Since discovering Oven Tacos it may become even more frequent . Every once in awhile I like to switch things up for the hubby and make him beef enchiladas. This recipe is super simple and so filling. For years I was always worried that my kiddos would be intimidated by the red sauce found in enchilada recipes. But a few years back I decide to make them for dinner and surprisingly they liked them. Such a simple dish and so happy that we can have this on our dinner menu frequently. 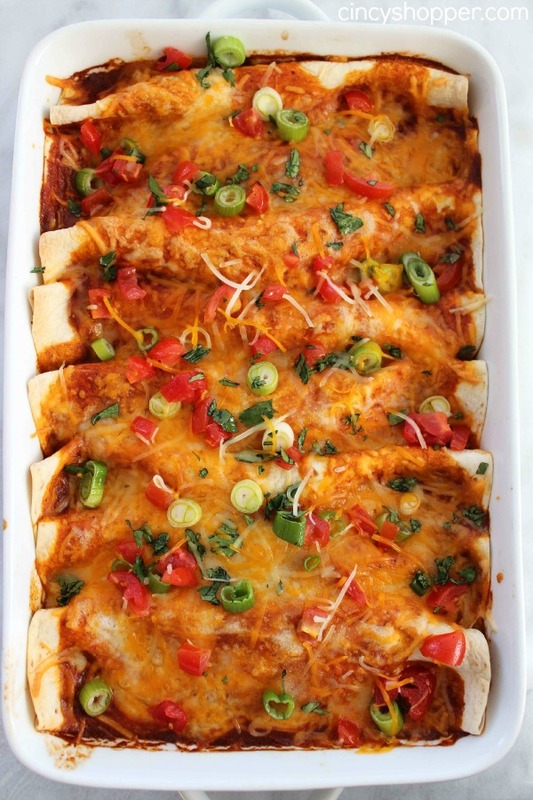 I will quite often make a couple dishes of enchilada’s and place one in the fridge for a quick and easy lunch too! I keep a jar of red sauce in the fridge to “freshen them up” if needed. You can serve up these Easy Beef Enchiladas with a bit of lettuce and tomatoes on the side or they are great all by their lonesome. I will quite often grab a bag of tortillas chips on the cheap at Aldi to have on the side. They are great for scooping up the toppings. 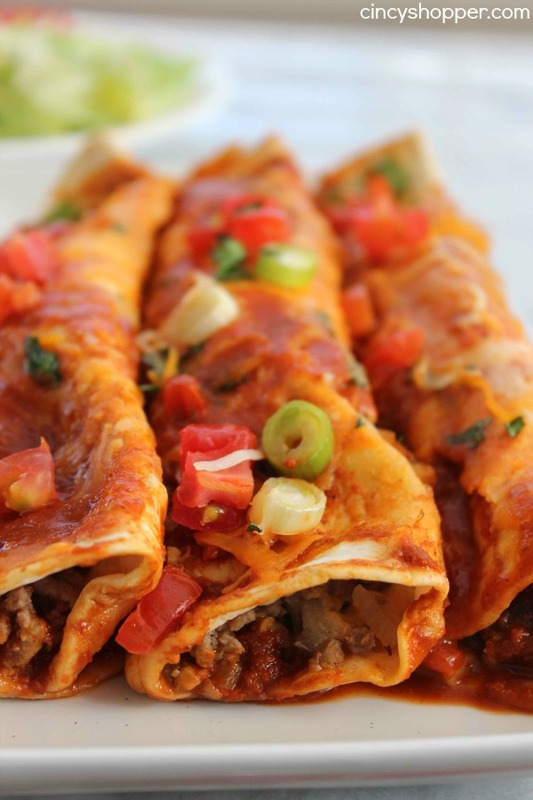 The ingredients needed for these Easy Beef Enchiladas are very simple. 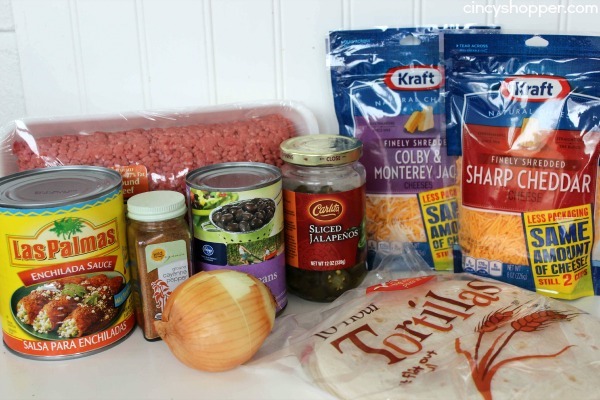 Just grab some ground beef, enchilada sauce, black beans, a couple spices and some cheese. LOTS of cheese makes them super yummy! 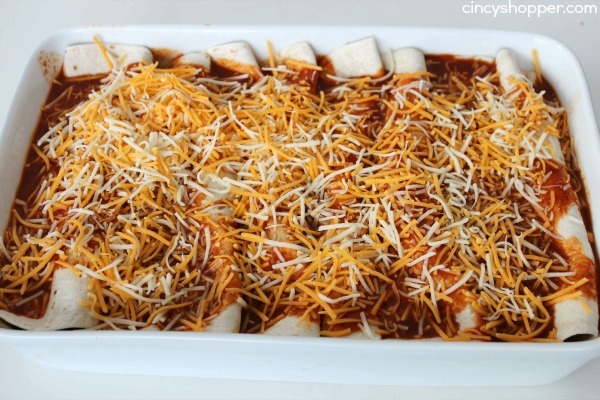 Pour 1 cup enchilada sauce in bottom of baking dish. 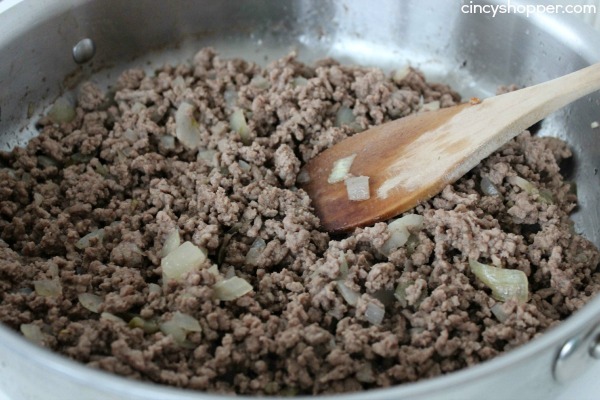 Heat oil in a skillet over medium heat and add ground beef, jalapenos, cayenne and onion. Warm tortillas by heating in microwave for 1 minute. 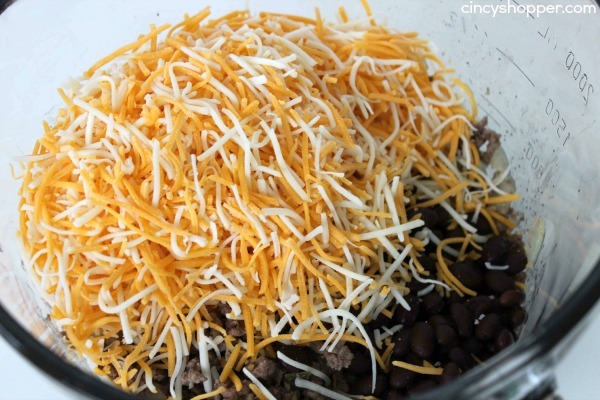 Combine ground beef mixture, 3/4 cup colby, 3/4 cup cheddar and beans. Place about 1/2 cup of mixture in center of each tortilla and roll. Place each, seam side down, in baking dish. Top with remaining sauce and cheeses and bake 20 minutes until sauce is bubbling. Garnish with cilantro, green onions and tomatoes. Garnish with cilantro, green onions andd tomatoes.